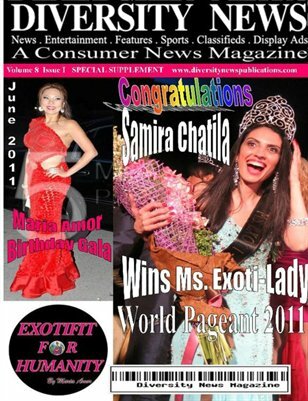 Diversity News Magazine Spring/Summer 2011 Featuring Ms Exoti Lady Winner Samira Chatila. DNM Special Edition Available now. Order yours today.